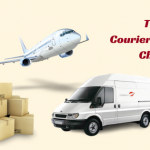 Chennai is known for the places of jobs and businesses which helps you to make a really good amount of money. There are lots numbers of Business Opportunities in Chennai starting from the small scale to a big scale, you will have to be very careful and sure of starting your right business. 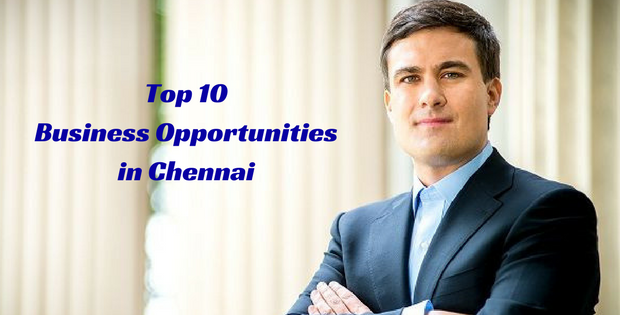 Following are Top 10 Business Opportunities in Chennai which gives you great ideas to start your own business. Home Tutor is one the Best Business Opportunities in Chennai as there is great demand for Home Tutors. If you have an idea of starting your own business, then you can start tutoring people from home depending on what degree you have qualified. At present condition, even many engineering students started joining home tuition because of the tough syllabus pattern. So, if you have experience and clear idea on the field, you can start your own classes and make money out of it. It doesn’t require any huge investment, you just need to have a good environment which makes students learn in a friendly. Online Tutoring is also another way of having a great income. You can get the Return on Investment (ROI) in 4 – 5 months. Baby Sitting and Crèche is one of the Best Business Opportunities in Chennai as most of the people are working here and are too busy to look after their kids. In this fast-moving world, many young parents are in search of the Crèche so that they could concentrate on the work. Due to this most of the Crèche and Babysitters are in demand, in this case starting a Crèche would definitely be a Profitable Business in Chennai but you will have to invest a real good amount and have a great infrastructure and have to maintain your Crèche well then you can get a good ROI in about 2 years. If you are looking for Small Scale Business in Chennai then starting an Ice Cream Parlour is the best idea. You need to be very careful in selecting the best place for your shop like near Schools, Colleges, Theater, Mall, Shopping Zone, etc. when you choose places where people often go then you may have a great business. Make sure you think out of the box and have some creativity in your shops, once you get familiar with the people then your business would be a super hit in the market. You may need to invest around 1.5 lakh to 2 lakh where you could get the ROI in a year. Beauty Salon is the Best Business to Start in Chennai and it would give you enormous ROI once you get familiarized in your field. You can also take up the franchise and run the business which would cost you little higher than starting your own brand at the same time and having a franchise will give you lot more money than having a separate brand. You will have to invest around 3 lakhs to 5 lakhs which would give you the ROI in around 1-2 years. You can also look for the best Beauty Parlour in Chennai in this link. Starting a Fitness Center will never let you lose your money as everybody now is running behind being fit. Business Ideas in Chennai mostly have this Gym and Fitness Center point in it. You could also start a franchise of a very popular brand or have your own brand, the other idea is to have a tie-up with some great brands so that you may not need to spend quite a lot investment. You may need some good amount of money to invest to it say 2.5 lakhs to 5 lakhs and in around 2 years you would get a great ROI. Internet Café is another great business with small investment giving huge ROI in 3 – 5 months of starting it. In the Internet Café, you can also have your printouts and Xerox shops which would be your additional business. It is one of the Best Small Scale Business in Chennai which demands a very little amount of investment and gives very good profit. In the Internet Café, you need to maintain the infrastructure well and take care of the electric and the net bill and make sure it satisfies your income amount as well. You need to invest around 35,000 to 50,000 to start the business. Event Planner is one of the Profitable Business in Chennai and you don’t have to invest much to this job. You can collect the advance amount from the people and make things but you need to have a stable business and get a standard to achieve this. Event Planner is in the leading business presently as there are lots of scopes to this job you could take up this as a business to make money. Initially, you may make the investment from your hand and you can make the ROI in 1 year of taking up the business. Catering Services is the Best Business Opportunities in Chennai which needs to have some investment around 1 lakh and you could get the ROI in few months of starting the business depending upon the reach. You should have to be very careful and maintain it hygienically as you are dealing with the business related to the food. You can also check this Catering Services in Chennai who provides the best food in town. You can make a lot of money when you start a Yoga Center Business in Chennai. In the present scenario, where every people are in a stress they need some relaxation and prefer yoga classes which would be available near them. Even if you don’t completely know about Meditation and Yoga, you can take up the professional course available for 3 months and start your class. All you have to maintain is a good infrastructural place for the class which would cost you around a lakh and ROI would be from 6 – 8 months. Wedding Planner is another New Business Opportunities in Chennai which is trending presently and this needs a great investment making lots of ROI to your business. When you get to know lots of people for arranging from Food to Music Bands and this will be a super hit business. You could get the ROI probably in a year of taking up the business. 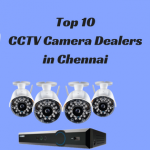 Hope the above Top 10 Business Opportunities in Chennai would be useful to you. Pick the Best Business Ideas in Chennai which you are interested about. For more reviews on the different field, keep following Business Reviews.